Wrought Iron Fencing is a classic option for enclosing property for a more bold look then the ordinary chain-link fencing. 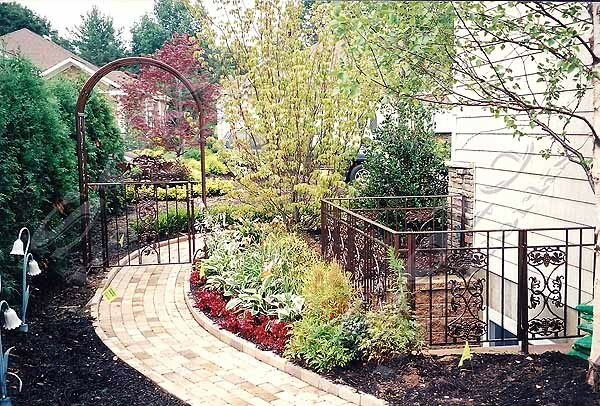 Wrought Iron Fencing is unsurpassed with its simple design and 'heavy' appeal that this type of fencing will enclose any property for years and years while adding stature and property value. A “cheek wall” is metal work that connects to stone or brick walls. We can work with any masonry contractor to make sure the job is done right.